Today Rob and I finally made time to attend our gym’s Spin Class Workshop. We have to attend a workshop to get the bike settings and an intro to the hand placements and riding options that will be used in a class. We hope to attend some classes as our schedule allows for cross training. It was a lot of fun to do something different for a workout. Plus everyone who attended class was really nice too. Spinning is much fun and a most excellent compliment to running! 🙂 Glad to see you giving it a try! 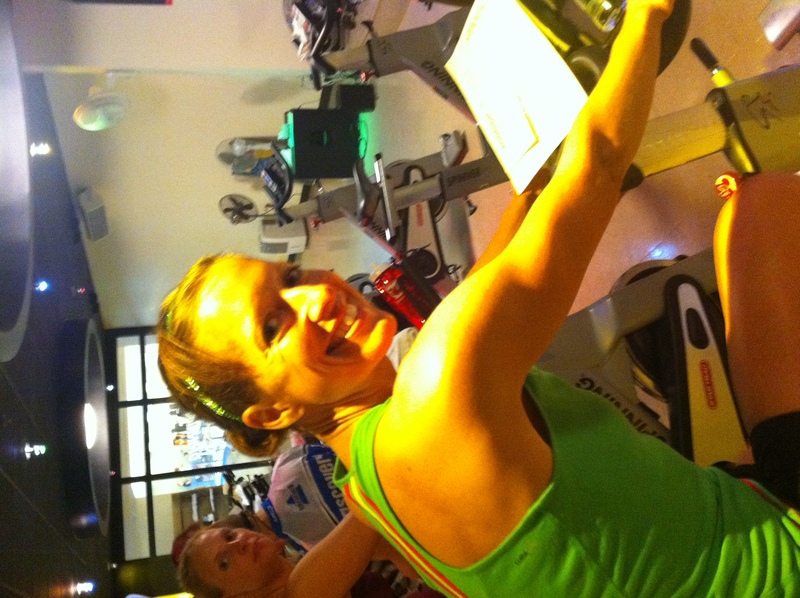 Spinning is an awesome crosstraining option with running:) LOVE it! !